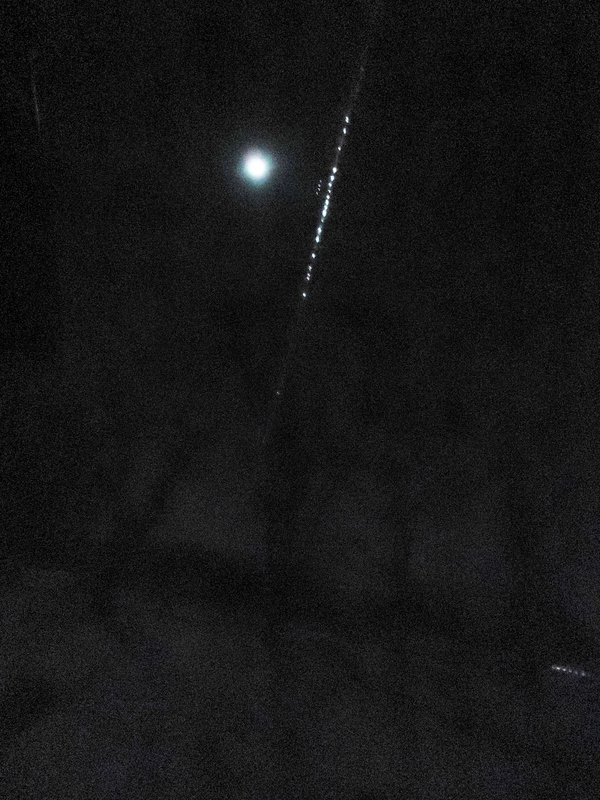 In the second photo the moon is shining off of the icicle, I was not able to get more length because of the cramped space. The moon is hazy, not clear. I think the horizontal row of light in the lower right is reflecting off of snow across the road at a greenhouse there. I like the way that the maple trees are outlined against the background, but I wonder if there is a way to pull up better contrast. I am not using flash in this photo. There are three orbs in this photo. 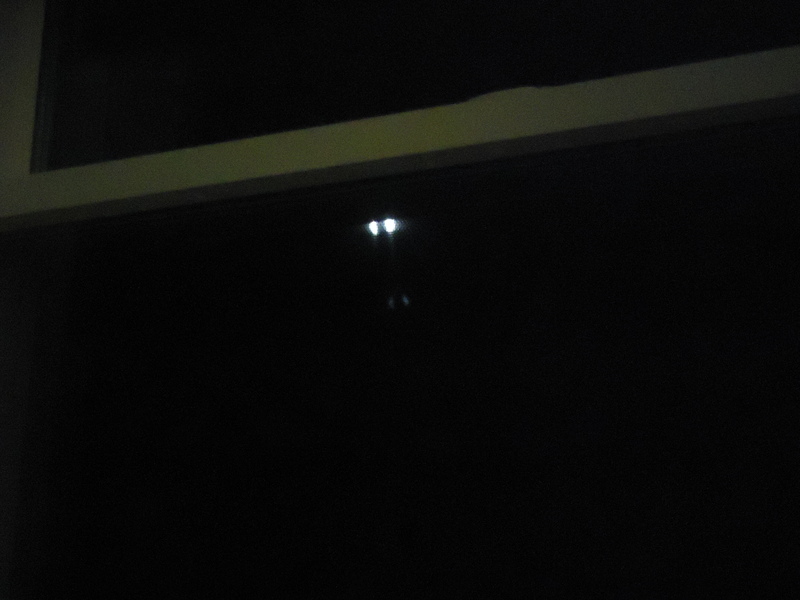 The top one is the moon, the one to the left is a street light, and the llower orb is a reflection of the moon taken from inside the house, through the window. 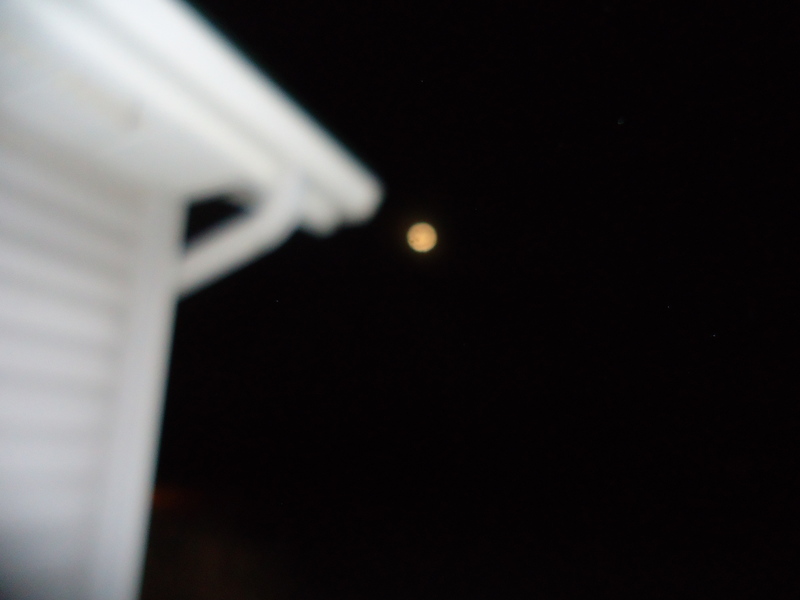 Both the moon and the street light reflections can be seen on the railing of the porch outside. 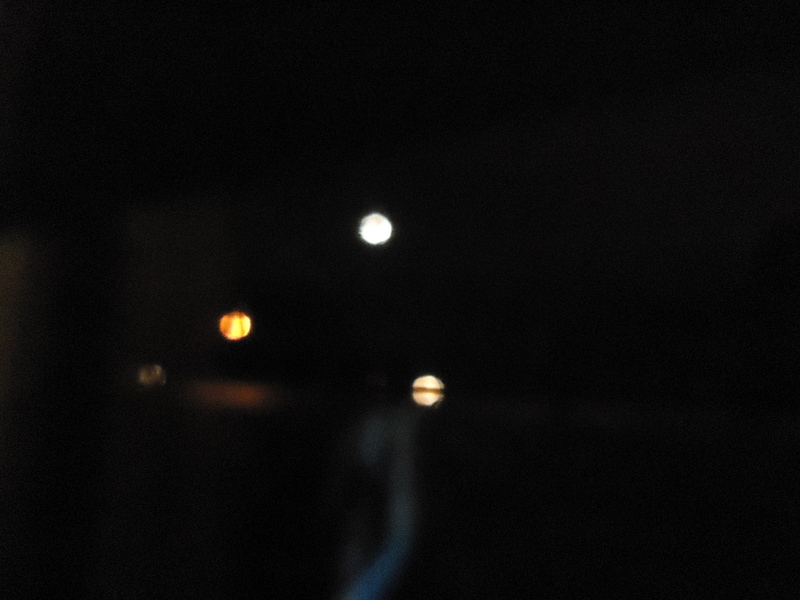 In the lower photo, there is a double reflection of the moon. I really like the reflection on the icicle. Next Next post: What was that song again?